Each member of CNY Doula Connection charges a standard $900 for birth doula services. (**Some doulas offer customized packages to meet your family's unique needs). Unlimited assistance by telephone, texting, or email. Prenatal meetings. At these meetings, you and your doula will become more acquainted, discuss your birth desires and concerns, and help form a birth plan. We will also discuss how members of the birth team will work together, talk about comfort techniques, and give you informational resources. 24-hour on-call service from two weeks before your due date until you give birth. Continual support during birth. When you go into labor, you will notify your doula and she will come when you are ready for her support, meeting you wherever you choose to labor. She will arrive ready to assist and support you with as many techniques as needed, and she will encourage and empower you to speak for yourself. Your doula will stay with you for an hour or so after delivery. Your doula will assist you with breastfeeding if you so desire. Your doula will provide one postpartum visit to assist with any questions you might have and to discuss your birth. She will also provide 24-hour on-call assistance by phone for two weeks after the birth. * It is our belief that a doula is worth every penny she costs. 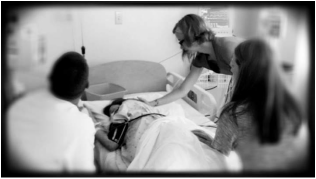 At CNY Doula Connection, we believe that financial limitations should never preclude a mother from having a doula. Please contact us for additional information on our fees and how we can arrive at a compensation arrangement that works for everyone.